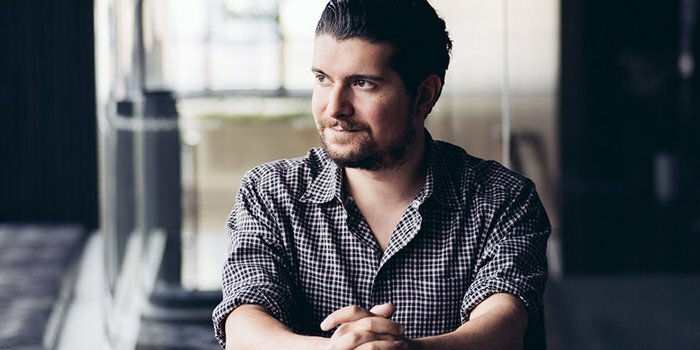 The founder and CEO of Squarespace on launching a dream and the importance of giving back. In 2003, Anthony Casalena’s parents gave him a $30,000 loan to help get his business idea up and running. Fast-forward to 2018 and it would appear that Casalena is more than able to pay that loan back. The company he started with the $30,000 is Squarespace, the website-building resource that now has over 800 employees and its logo emblazoned on the jerseys of the New York Knicks. Also, according to Bloomberg, a valuation of $1.7 billion. Not too shabby. Casalena hasn’t forgotten how that loan made all the difference, and so this year Squarespace and the New York Knicks teamed up to create the “Make It Awards,” a program that provided four entrepreneurs with a $30,000 grant and use of Squarespace’s marketing muscle. Entrepreneur connected with Casalena to learn about his company’s journey from an idea that existed in his head to a logo that is stitched on NBA All-star Kristaps Porzingis’s jersey, and where he hopes it heads next. Tell us about the "aha!" moment for creating Squarespace. When I started programming Squarespace in 2003, I wasn't intending to start a company. I initially created Squarespace for myself for two reasons. First, I was frustrated that there were many different pieces of software that had to be integrated in order to create a website -- page-building software, blogging software, hosting and website analytics software were all separate. Secondly, I was bothered by the fact that there seemed to be no products on the market that were paying attention to design. There was a moment in my dorm room when I was still developing Squarespace where a friend offered me some small amount of money for the platform, thinking it would be useful for his website. It helped me realize that the problem I was solving for myself was something a lot of people might be struggling with. How did it feel the first time you saw your logo on a Knicks jersey? Pretty incredible. My first apartment in New York was actually 10 blocks south of Madison Square Garden, and I know the area well. The Garden and the Knicks are iconic, and it feels great to be a part of what makes this city amazing. What was the toughest part of getting Squarespace off the ground? I ran Squarespace almost by myself for a number of years, which was immensely stressful. In the early years, I often resorted to using engineering to solve problems versus making other decisions that might have made Squarespace into something that resembled a company a bit faster. I was very slow to hire a team, and when I did, I think it took a while for things to click into place. What do you wish you knew then what you know now about fundraising? I’ve actually tried to minimize the amount of money I’ve had to raise for the business. Squarespace has always been a company that generates revenue, so our dependence on outside capital has always been quite limited. The rounds we have raised have been used in very specific and strategic ways in our history, versus rounds that we’ve had to raise to “keep it going” or to try and prove our model. All that said, I think it’s important for anyone raising capital to understand what the exit terms are on that money. Do your investors want to be in for a year? A decade? What kind of return qualifies as a success for them, and how do they want to achieve that result with you? It’s important to keep everyone aligned around outcomes and timeframes. Did you ever doubt yourself when you were starting out? I typically initially approach situations as a skeptic, so I think there was a healthy understanding of the amount of uncertainty involved in running and scaling a business. Squarespace has always been successful at earning initial traction and leaning into that growth in all of our endeavors. That doesn’t mean that every idea we launch works, but we try and move away from our mistakes quickly and instead move on to what is working. I think the ability to be nimble in that way has been encouraging, and it helps get us through periods where things are bumpy. Why is the Make It Awards initiative important to you? I got a $30,000 loan from my parents when I was first starting Squarespace, which I used for our initial servers and to get some early design work done. So along with The Madison Square Garden Company, we thought it was great to be able to build on that notion and give away a symbolic $30,000 to a few local entrepreneurs who were doing great things. Squarespace as a company is about helping people with creative ideas succeed, and this initiative is just another way we can highlight and help entrepreneurs who are just getting started.